Luis Lassa tells us about the characteristics of the restaurant and the perfect combination between the restaurant and the disco (the restaurant is inside the nightclub) although initially, this surprises diners a little bit. He talks about his style of cooking, modern but with classic touches based on traditional recipes. Among its most outstanding dishes we can say that ceviche is one of the best. Luis Lassa’s cuisine is a Mediterranean cuisine fused with Japanese and Peruvian. 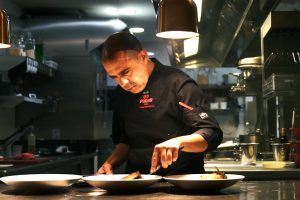 Luis spent several months in Peru, training and working alongside Peruvian chefs and the result is the ceviche he has brought to Ibiza. 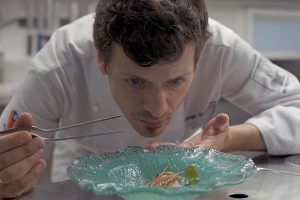 Luis Lassa says that like the music, the cuisine is evolving and the tastes of the guests also change, but at Pacha Restaurant, they are aware of all this and day by day they prove it. Luis says that the people he has met throughout his life and the team have helped him to be the way he is and to create a great cuisine. He speaks about all of them as if they are his family.